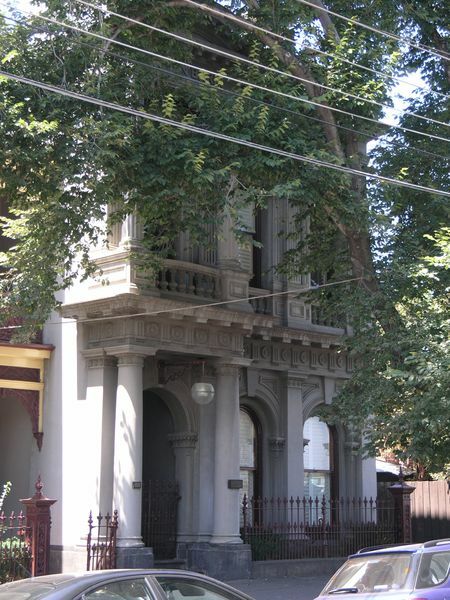 Finn Barr is a rendered terrace, one of a group of south Melbourne buildings designed by the architect Frederick de Garis. 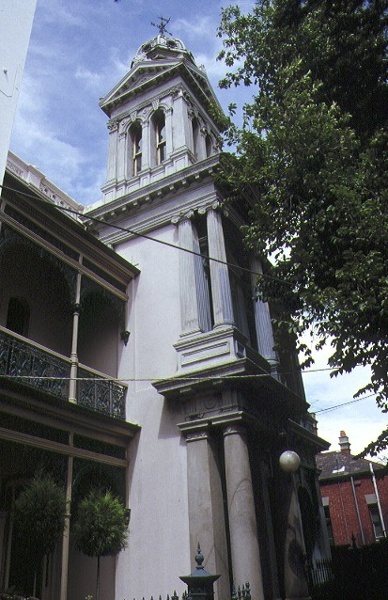 De Garis was responsible for the adjoining port view house (No.153) and Mt Durand Terrace opposite. This house was built in 1885 for a Dr WH Ford. - as a fine example of the work of the architect Frederick de Garis. - as an exuberant expression of 1880's "boom style" classicism in a terrace residence. - for the high standard of craftsmanship associated with detailing and ironwork. - for expressing the lifestyle of a professional man in inner metropolitan Melbourne in the 1880s. to the extent of all of the buildings and the whole of land entered in the Register Book Certificate of Title Volume 8164 Folio 484.